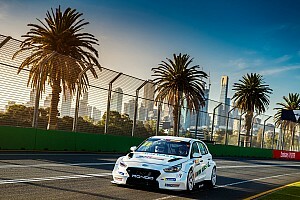 The Belgian driver was impressive throughout the whole session, in his only second Touring Car appearance. In a very close Qualifying, Frédéric Vervisch took his maiden pole position in the TCR International Series. The Belgian was impressive throughout the whole session, in his only second Touring Car appearance. It was also the second consecutive pole for Audi and Comtoyou Racing, after the one claimed by Stefano Comini at Spa. Six brands were represented in the top 7, all covered by seven tenths, proving the competitiveness of the field. 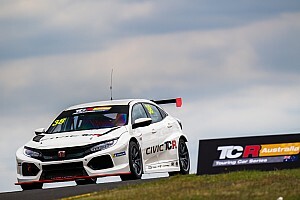 The M1RA Honda Civic cars of Roberto Colciago and Attila Tassi dominated most of the two parts of the session, but were eventually beaten by the Audi. Davit Kajaia was an excellent fourth-fastest with the GE Force Alfa Romeo Giulietta, preceding the DG Sport Compétition Opel Astra of Mat’o Homola, the best of the Lukoil Craft-Bamboo SEAT León cars of Pepe Oriola and the best of the Volkswagen Golf GTI cars, the Leopard Racing Team WRT machine of Jean-Karl Vernay. 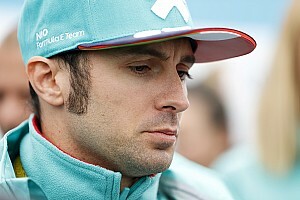 Stefano Comini was only 8th, after a difficult session, ahead of James Nash and Hugo Valente. The two Lukoil Craft-Bamboo drivers will fill the front row of the top-ten reverse grid for Race 2. The session started under the sun and with perfect conditions. It was immediately a slipstreaming exercise, with the three Lukoil Craft-Bamboo SEAT cars of Oriola (2:01.078), Valente and Nash, leading in that order. Shortly afterwards, it was the DG Sport Compétition Opel Astra cars taking the advantage with Corthals (2:00.946), but Oriola retook the lead (2:00.153) before being beaten by the Honda Civic cars of Tassi (2:00.063) and Colciago (2:00.090). With six minutes to go, Vervisch put his Audi on top (2:00.021). Shortly afterwards, the Hungarian young boys made a hit, with Tassi back on top (1:59.610) ahead of Ferenc Ficza (1:59.895) in the Zele Motorsport SEAT León. In the dying moments of the session, though, Colciago pipped everybody with a lap of 1:59.601. The Italian beat Tassi, Ficza, Vervisch, Oriola, Vernay, Homola, Kajaia, Valente and Nash. The last two promoted to Q2 were Comini and Jaap van Lagen. Those who did not make the cut were the two WestCoast VW Golf cars of Morbidelli and Altoè, the GE Force Alfa Romeo of Borković, Corthals, Paulsen, Cappellari and Møller. As Valente went straight at the Roggia on the first fast lap, Colciago confirmed immediately his leadership (1:59.859), ahead of Homola, Comini and van Lagen. In the second fastest lap, Colciago improved (1:59.246) and Tassi moved up to second (1:59.361), with Kajaia third. It was then Tassi who took the provisional pole on his last lap (1:59.131) before being beaten by Colciago (1:59.097). Eventually it was Vervisch (1:58.997) who went faster than the two Honda cars. Kajaia (1:59:469) was an excellent fourth, flowed by Homola, Oriola, Vernay, Comini, Nash and Valente who took pole for Race 2. “It’s nice to see so many friends, but I am not here only to socialize, I have come to see the future rivals…” admitted the Italian with a big smile. “Il ‘Cinghio’ came to Monza from Misano, where he completed another test with Hyundai’s future TCR racer, the New Generation i30. “The development and testing phase are going on smoothly and positively,” explained the former World Champion and official test driver of the Korean brand.